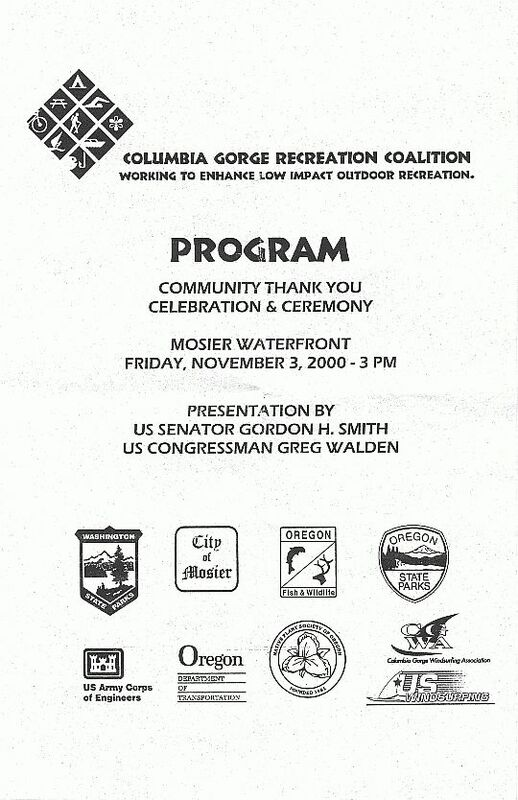 On Friday November 3, 2000, the City of Mosier put on a celebration which US Senator Gordon Smith attended. 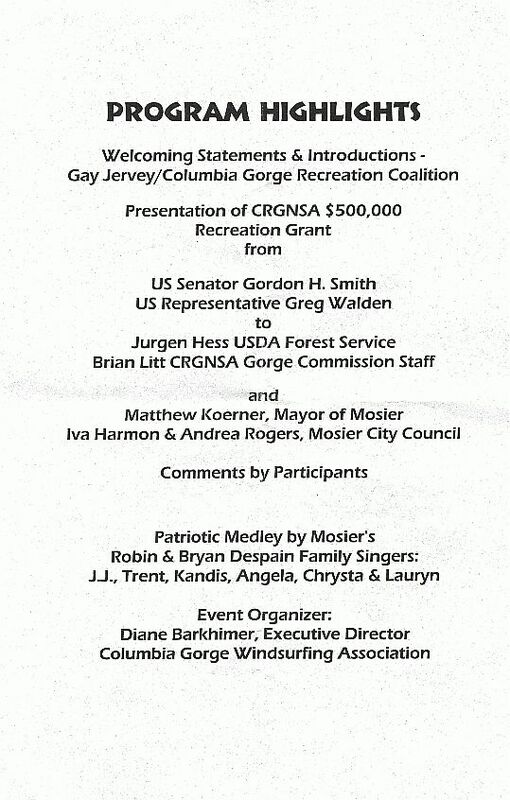 He helped with the presentation of the $500,000 Recreation Grant. 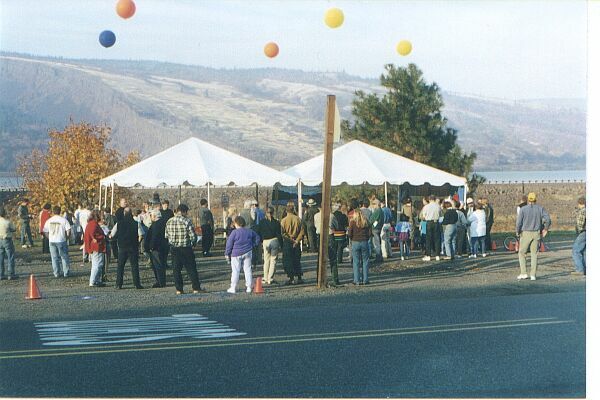 Oregon Parks set up two tents and the people of Mosier provided food and entertainment. 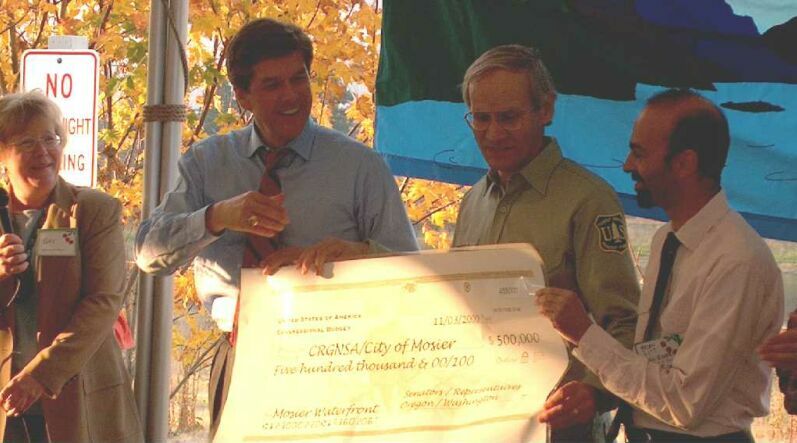 US Senator Gordon Smith, US Forest Service Jurgen Hess and Gorge Commission staff member Brian Litt with the $500,000 Recreation Grant. 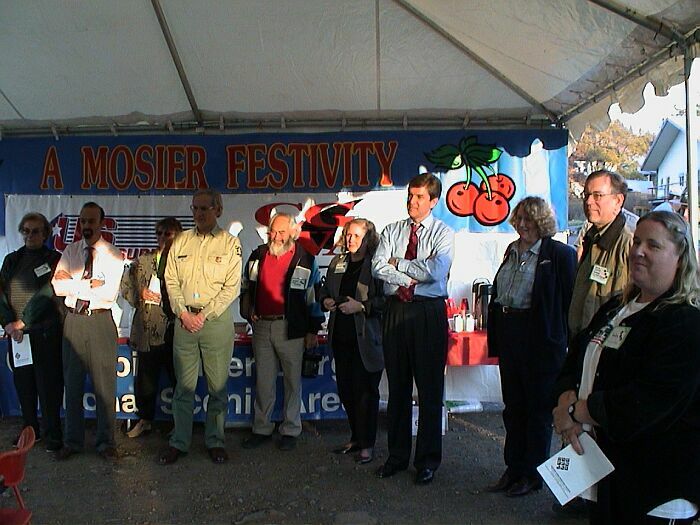 Gay Jervey on left was MC for the Celebration. 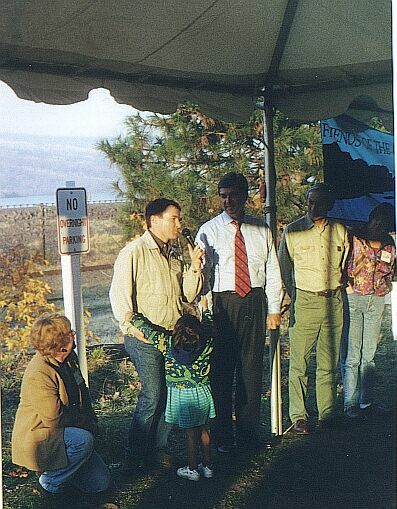 Gordon Smith made a short speach in which he stated that he was pleased to see that all of these groups could come together and agree on a construction project in the Gorge. He stated that this has not always been the case in the past. 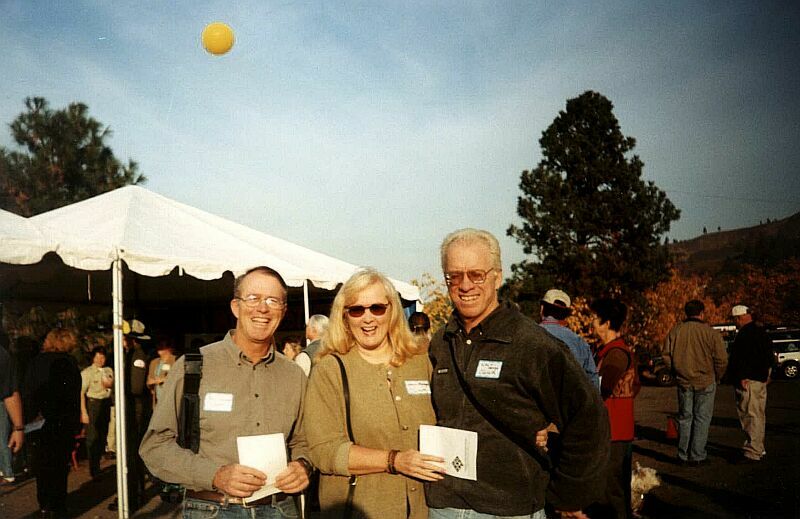 CGWA members, Bill Sullivan with Walter and Jean Menge at the celebration. 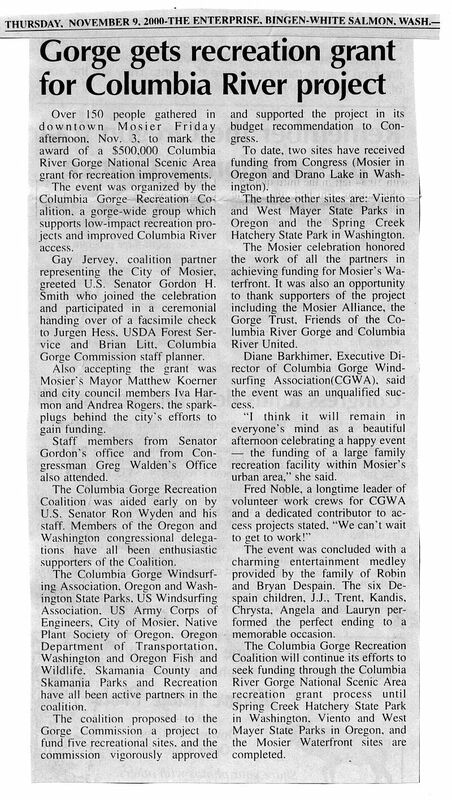 Matthew Koerner, Mayor of Mosier, spoke along with Iva Harmon and Andrea Rogers, who are on the Mosier city Council. Lots of local people attended.